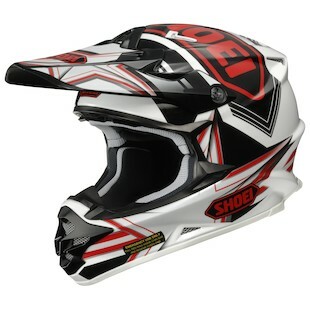 Shoei VFX-W Helmets, Ripping it up with new Graphics! 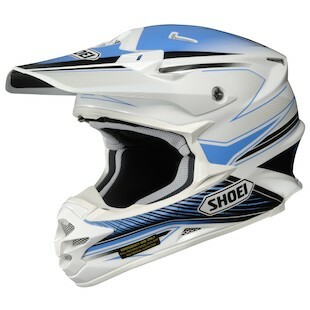 Shoei is heating up the fall season with 3 new hot graphics for the VFX-W helmet! It’s already a top seller in the industry, so be sure to feast your eyes upon these smokin' new offerings. First up is the Shoei VFX-W Sear Helmet graphic that will singe your eyeballs with its amazing looks. You will need the 3D Max-Dry removable liner system that is thermo-molded to match the liner perfectly to the helmet interior to keep you dry while blazing across the rhythm section. If you want stand out from crowd in turn 1, you will need the Shoei VFX-W Barcia Helmet with its ergonomically shaped mud guard to deflect roost and allow your fans to see you as you burn away from the competition. Finally, the Shoei VFX-W Reputation Helmet, nuff said. The aggressively shaped Sleek Visor provides incredible airflow for reduced drag and will let you blast over the triple while everyone else cases it so that next time on the starting gate, your reputation will proceed you. We hope you are as fired up as we are to get our hands on these 3 new graphics and tear up some dirt!